A new Administration, a Republican-controlled Congress and a new set of priorities. 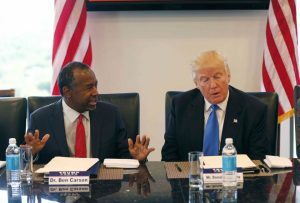 Little mention was made of housing affordability, safety-net programs, persistent poverty, or better access to economic opportunities for lower-income households by Mr. Trump on the campaign trail, and his lack of public service or policy-making experience makes it difficult to know what to expect from a Trump administration come Jan 20. Given the fact that the nominee for HUD Secretary is also somewhat of a blank slate with no housing experience, we don’t know how he would run the department or what his vision for HUD might be. However, recent commentary suggests that what’s ahead for housing, community development and safety net services is not good. On Dec 16, Congress passed a Continuing Resolution to fund the government at FY2016 levels. An FY2017 budget will be adopted in the new year by the 115th Congress, and will reflect the priorities of the Trump administration – tax reform, repealing and replacing the Affordable Care Act, increasing defense spending, and making significant infrastructure investments. While we can’t predict outcomes, budget consideration for these priorities will impact programs that address the housing and human service needs of America’s low and middle-income families. HUD Deputy Secretary Who is chosen will be important. The Deputy oversees departmental operations and has substantial influence over budget, human resources, procurement and IT. The Deputy also oversees cross-cutting functions like field policy and management which assists local stakeholders in making the most effective use of federal programs. In addition, this position second chairs the Secretary, and often has specific policy priorities that he or she champions. Given that the Secretarial nominee has no experience running a federal agency, it is possible that driving housing policy would fall to the Deputy. Infrastructure A plan to address the country’s aging infrastructure could offer an opportunity to include housing in the mix. Increasing the production of housing that’s affordable to low and moderate income households creates jobs, boosts economies, stabilize families and help communities thrive. 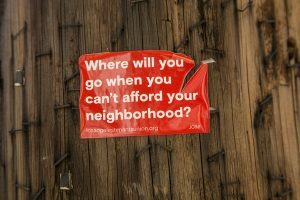 Housing advocates will be looking for every opportunity to insert this issue into the infrastructure conversation.